The Flamingo Inn and Suites Motel is located in Niagara Falls Ontario and offers the best combination for accommodations in the area. This motel is located on historic Lundy’s Lane and is an award winning AAA/CAA 2 Diamond Property that offers fantastic amenities you expect at an upscale hotel. The family owned and operated property also offers a wide variety of guestrooms including 3 bed family rooms, honeymoon suites and standard rooms. 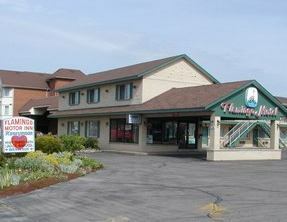 The Flamingo Inn is also only a short distance from the Canada One Factory Outlets, Niagara Falls Golf Club and the Falls.